Born in Muskogee, Walter 'Foots' Thomas began his musical career in college, playing saxophone with local bands. He moved to New York City in 1927 and began working with the famed Jelly Roll Morton less than a year later. Thomas joined the The Missourians in 1929 after short stints in bands led by Luis Russell and Joe Steele; he remained a member of this band after Cab Calloway assumed its leadership. Thomas was involved with this outfit through 1943, contributing arrangements such as "Minnie the Moocher" to the band's repertory. Thomas began playing with Don Redman by 1944, then led his own band for a bit less than half a decade before moving into management. 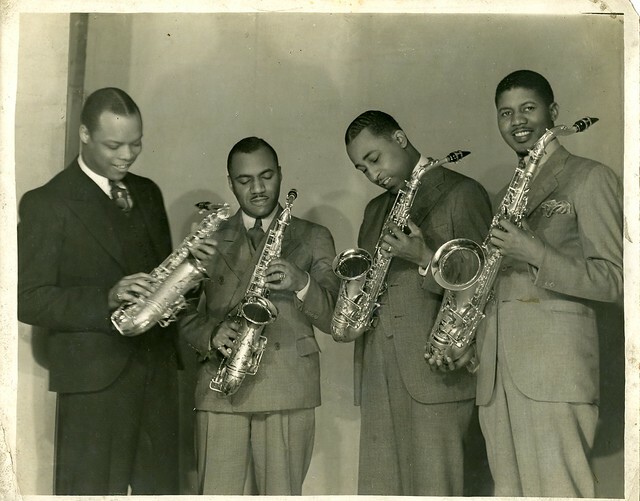 Firmly associated with swing styles, Thomas made one of his finest recordings near the end of his playing career when combined with the rootsy yet always forward-looking tenor saxophonist Coleman Hawkins. Thomas gave saxophone lessons to the late Jackie McLean, a brilliant bebop and modern jazz alto saxophonist.